The BCW Pro 4-Pocket page is an acid free, archival quality product that is perfect for storing 3.5 X 5 photographs or postcards. This product features high clarity and strong welds. 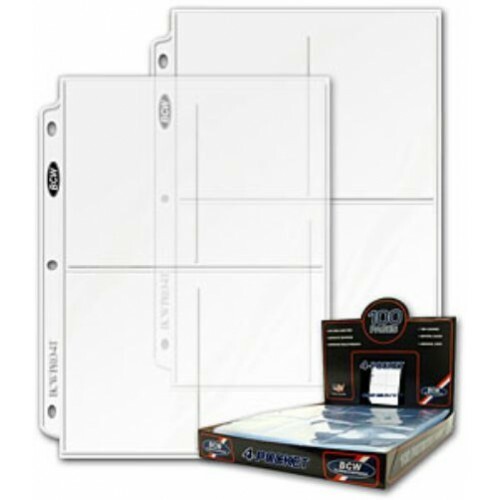 BCW Pro 4-Pocket pages fit all standard 3-ring binders and albums. Do you have any questions about Box of 100 BCW Pro 4-Pocket 3.5x5 Postcard / Photo Pages?